Each weekday for the next 2 weeks, we’ll reveal a part of the connecting covers for issue 115. 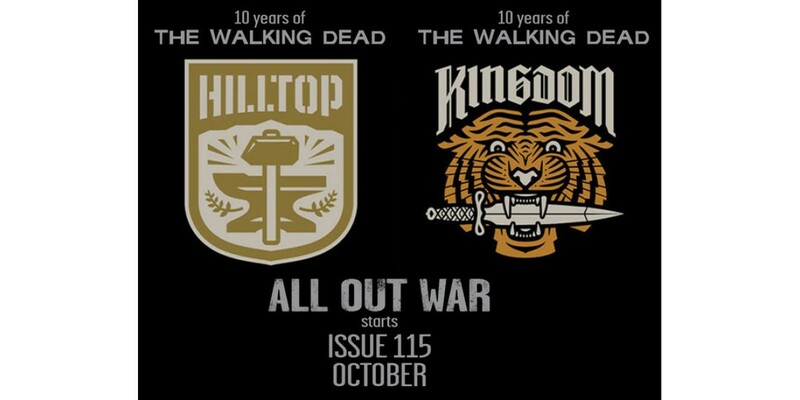 The sixth cover revealed for Issue 115 finds us on the bring of All Out War. The factions are aligned and gunning for Negan.